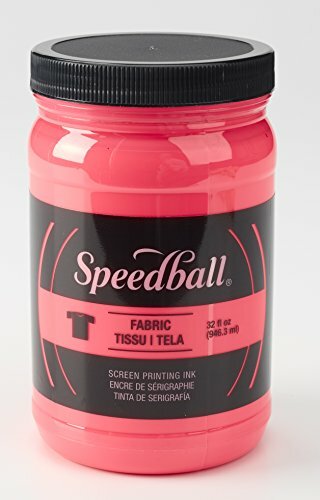 Available in 25 rich colors, including fluorescent, glow-in-the-dark, and process colors, Speedball fabric screen printing ink offers artists more vibrant colors, greater coverage, smoother workability, softer hand easier cleanup than any other screen printing ink on the market. Ideal for printing on a range of fabrics, including cotton, polyester, blends, linen, rayon, and other synthetics (not recommended for nonporous fabrics such as nylon). inks produce a super soft-hand on fabric and are permanent once properly heat set/cured. Great for use on paper and Cardboard too! non-flammable and contains no offensives smells or solvents - soap and water cleanup.